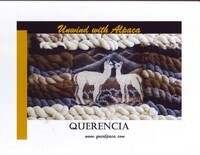 Querencia is an alpaca farm located in Medford, Oregon owned by Marie and Dennis Hurley. 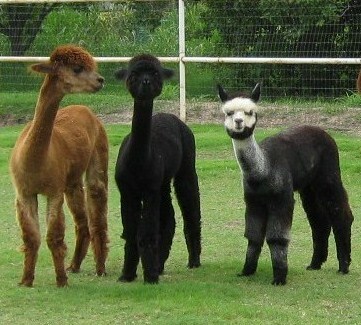 Black Sheep Gathering was lots of fun for the alpacas at Querencia again this year. Lots of blue ribbons and best luster, Suri. Pucara Kameli's Tieva also won Judges Choice. 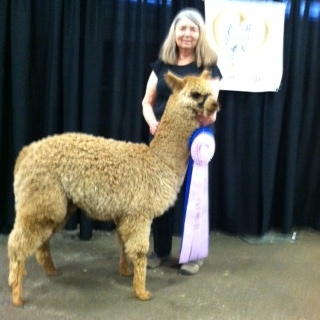 In the white juvenile class, Nautilus daughter Celeste Clair was first, Lily was 2nd and Kashmir's Prisma 3rd. Juvenile dark saw Xochitlpelli daughters Quetzal at 1st with sister Chula 2nd. Last but not least, Desire's daughter Sophia won 1st for second year. Royale's son Transcendent went to a new home, congratulations to new owners Diane and Steve Wright of Wandering Pines! Querencia refers to a favorite place to relax and enjoy life, and we, Marie and Dennis Hurley have found our perfect niche raising alpaca. We use our consistently fine Alpaca fiber to create beautiful, luxurious items from hand knit sweaters and scarves, hand woven jackets, blankets, shawls, rugs, to felted stoles, soaps and dryer balls. Even the waste is used to grow a bountiful garden. Our alpaca keep the pastures trim and entertain us with their delightful antics. As a CPA and tax lawyer, Dennis appreciates the value of our herd as a source of potential revenue, from selling pets and breeding stock, raw fleece, and hand made fiber creations, to herd sire services, as well as their investment potential. As our herd improves due to the influence of our own males, it also benefits by the availability of some of the top machos in the U.S. Just check out our Bogart, Rico Suave, El Trauco and Tequila Sunrise cria, while you are admiring the handiwork of Aaron and Limoncello who mark their cria with lovely handle through lowered C of V, improved fineness and marked crimp style. While the show/investment model of alpaca ranching is evolving into a fiber based industry we are moving ahead of the current, with a herd chosen for solid conformation and good quality long-lasting fineness, and our herdsires are selected to maintain while improving it. 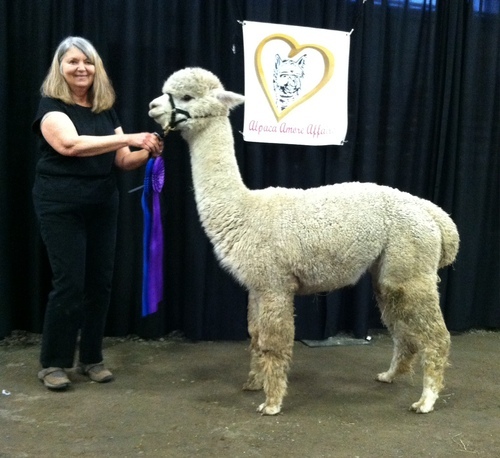 The animals we sell as pets have almost all won ribbons at show or for fiber, and as fiber producers they will earn their keep for years to come. With classic beauty, great bloodlines and soft dense long lastingly fine fleece, Now is the time to build your dream. Invest in the future of fineness. 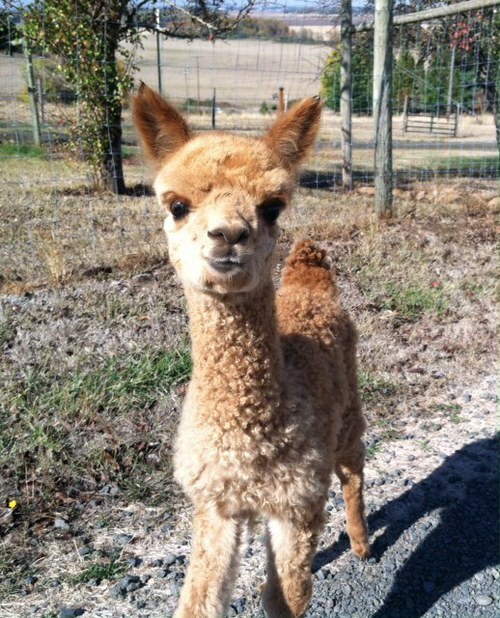 Come home to warm fuzzies and Unwind with Alpaca! We welcome inquiries and we service what we sell. All unbred females are sold with a breeding to a Querencia herdsire of buyer's choice.